Marc – The proof is in the pudding! I arrived early, did my 29 ball warm up, putted into my box at 6, 9, & 12 ft. Told my buddy no gimmies, mulligans, etc for me today. Well, I had an 86! Only one 3 putt! I hit 10 fairways, two holes were one putted! I was on in regulation three times, although there were six more holes where I was within five feet of the green! I can’t tell you how thrilled I am. My last two scores at this course were 95 & 98. A 9 shot and 12 shot improvement! My thanks again to you for “converting” me from the heresy of technical golf, to Golf Made Simple. Just a small note to say that I really, really loved those 3 days. I learned more in 3 days than I have in 3 years here in Paris! My instructor was extremely professional and serious. I learned soooo much from him. I thank you again and I will definitely come back sometime this year. I want to praise both the program and our instructor, Brandon, at Innisbrook. We were a little apprehensive, but GMS took that into account. Brandon was unfailingly encouraging and always informative. If I didn’t understand the first way he put something, he went at it from a different angle until I got it — never making me feel foolish. With as little as I know of golf, my praise might not be meaningful, but I know myself pretty well and can tell you I will use these drills. I believe I will be able not only to have fun playing golf with my much-better partner, but also to improve. So thank you again, and give Brandon a raise. He’s a real winner. Marty and I just completed the GMS course at La Quinta, Ca. We started on 2/22 and completed on 2/24. Your Instructor, Lucas, did a great job. He was punctual, directed his lesson with passion and energy. He used data and current examples of his craft to make his point. Plus he was a great guy and made the course fun as well as productive. To understand what I got out of GMS, I started out the first day chipping the way I started 55 years ago off my back right foot. One of my objectives was to improve my chipping, which costs me 3-4 strokes per round. I was told there was a better way, and started chipping with the weight forward. I saw immediate improvement. That just set the stage for everything else, from Tick Tock to understanding the fundamental principles of the game I had never heard explained like at GMS. My approach on the green and the sand were always issues. I now have a systematic process to follow. GMS was well worth the money, plus I had a great time! Just a short note to let you know how much we appreciate your instruction at Silver Rock in March. After 5 different golf schools (and I won’t tell you how many DVDs), I was worried that I was becoming a golf instruction junkie. The methods of self assessment and correction that GMS uses will make all the difference in how I practice and play. I feel like I gained insights into my own game and brought home easily duplicated methods of maintaining those improvements rather than fall back into former habits and routines. I’ve improved back into the 80’s, am on the green or just off in regulation, 1 or 2 putting and this is very early in our season. I just wanted to let you know, and I hope you will pass this on to Chad, how much I enjoyed the GMS clinic in La Quinta. I know my game has already improved as I implement my lessons. I played golf this morning with three guys when their fourth wasn’t available at Rancho in Los Angeles. They were very impressed with how my game changed…in a week! They all noticed how much more consistent I was! Looks like you can add three more guys to your list of soon-to-be students! I scored a 95 – an easy 95 on a very, very windy day. We just had a great 3-day program in Spain with our family. The program is excellent, and we all gained a lot of insight and a much better understanding of why the ball flies, how to be more relaxed, efficient while practicing, and in general to be a smarter golfer. The 3 days flew by, even for our teenagers. My daughter Lucie (18 hcp) came back from the 3-day course, and played 4 days of interclub, wining every match with 3 or 4 up against better golfers. My husband Steven played last weekend, and felt much better than he had since over a year. So we are thrilled, and are looking forward to come back next year! I had to share my round today with you. A friend and I played at Cimarron. My driver averaged about 210 mostly down the middle. I only had one penalty and no sand. I shot 98! 1st time under 100! And that was with 45 putts. So I really hit the ball well! Thanks for everything you did. I look forward to more improvement. Dominic was awesome. He shows a lot of passion and enthusiasm for the game which made it a very good learning experience for us! He broke the swing down as well as the game. For example: I have been told for years to get my right hip going first. However, I was never “taught” how to do it. Just do it. So I could never get the feel. The drills we learned at GMS accomplished that. It was comfortable, fun and well worth it. Thank you for GMS. Looking forward to getting out there and putting it to the test. I can now finally get out on the course and apply the things I learned while I was with you in Tampa. So far, I have begun my season consistently trending in the mid to high 80’s! Which is something I have not done for a really long time! YIPPIE! I loved the GMS class size, learning approach; and I especially liked that we were able to play a round under your guidance; and apply the things we learned. This really helped give my confidence a tremendous boost as I begin a new season of league play. You really are an excellent golf instructor. You are not only patient, but you are consistent and encouraging. The entire 3 days you remained simplistically straight forward and what you shared was really easy to absorb. As a result, my Golf Made Simple experience was fantastic; and I know I’ll continue with the drills and methods I learned. GMS really worked for me. It was such a good time to spent these past three days having you for a golf instructor. You put your heart and soul into it, and I’m looking forward to continue using all the things I learned at GMS. You have a very reassuring way about yourself and how you transmit what you know. And to top it all you are great fun to be with! I’ll be one of your repeat students! My best. See you in a few months! I don’t want to take too much of your time, but want to let you know how much I appreciate your program. I am 55 years old and have played golf for 40 years. Most of that I was a very inconsistent mid 80 to mid 90 golfer. I have always struggled with distance, in particular with the driver. I can’t tell you how many instructors I have taken lessons from. Obviously you know what they told me. “Your grip is too weak, change your stance, quit breaking your left arm…..” Never once was I given a tool to not do what they told me not to do. In 2013 I hit my driver so short and poorly I told my wife I was going to a golf school and if they couldn’t fix it I was done with golf for good. I looked at Butch Harmon, Haney, a bunch of them. Until I stumbled across GMS, nothing resonated with me. Your approach seemed to be what I was looking for, but I was still leery.I wanted something I could take home with me and after calling I felt comfortable you guys were not just selling something and really had a system. Once I left GMS in spring 2014 I fell in love with golf again. I enjoy playing and I enjoy going to the range with a plan and drills I know how to perform. I never expected for my iron play and putting to improve as well, but naturally they have. Since 2014 I have consistently shot in the low and mid eighties. I think I have had one, maybe two rounds around 90. I have even had a couple in the 70s, but they weren’t “scrambling” rounds. These are rounds where I hit over 50% of the fairways and greens, had no doubles and just played a nice clean round of golf. If you are ever near the Houston area and want to play a round let me know. Just wanted to drop you a line about my round today. Since my instruction with GMS at Whitehawk, my score has steadily improved. I had previously averaged low 90s and my hope after Golf Made Simple was to score in the mid to low eighties. Not sure if I ever told you how much we enjoyed the school at Hammock Beach in February. My son and I attended and we try to play at least once a week. I have been telling all my friends, relatives, co-pilots, managers at our favorite courses, basically anyone that will listen about GMS. My last two rounds I shot 89 at tougher courses … yesterday was 6 pars and a birdie …. getting more of these and less of the high scoring holes, but MOST IMPORTANTLY – I am having a lot more fun! Just a note to thank you for your excellent golf instruction and demeanor. Best money on golf lessons I have ever spent! The GMS Program and the way you presented the information made it easy to understand and as it turned out for me, repeatable. Since finishing GMS over the Father’s Day weekend, I’ve played 6 rounds of golf. On my first two rounds after class I matched my previous all-time best score both times and then set a new all-time best score in another round. Plus, I missed a hole in one on a 165 yard par 3 by 3 inches. Another huge improvement was that I used to dread hitting out of sand bunkers, but that too is a thing of the past. I have safely hit out of bunkers on my first shot all but 1 time in those rounds and am even getting better at judging the distance and landing the ball closer to the hole versus ‘just getting out’. Wow! What a wonderful three days with GMS! Not only lots of learning, but fun and enjoyment as well. Dominic’s energy, positive attitude, and optimism really kept us going through three hot, humid days. I wanted to pass on my progress. My consistency in ball striking and getting back to great putting has helped me improve my index from a 10.1 before GMS to an 8.6! This includes two rounds of 78 at Harding Park. In one of those 2 rounds, I was 1 under par and in the middle of the 13th fairway. I wasn’t able to finish strong, but no worries … it still was a 78! Dominic: Thank you for a great three days. The drill for moving my center of gravity back in front of the ball was the single key I was looking for! With practice and a new attitude, I am looking forward to the future. It will be nice to get back into the 70’s again. Thanks again for a most pleasant experience. It looks like you have found your calling. I like your attitude and your manner. If you ever get to Oklahoma City I would love to have you play at our club. I will keep you posted on my improvement. Hi Brandon….. I am on a golf trip to the Panhandle playing 3 of the top courses in Florida. I am continuing to play well! Shot a 77 at Sandestin and yesterday 78 at Regatta Bay. Both are listed on the Golfweek Top Courses You Can Play in Florida list. Tomorrow I play Camp Creek. Looking forward to talking with you and further putting together my practice plan that makes the most efficient use of my time and has the most impactful results. Jeff – just finished my weekend with GMS at Centennial in New York. Everything was terrific! Dominic is an excellent teacher and communicator. Your program is well suited for golfers like me who need tuning up in different areas. Again, commendations to Dominic and GMS. Thanks again for 3 wonderful days of golf school back in June. I am a believer, and when I lose focus, I think about you right behind me saying “Tick-Tock”. I have shot my best score ever of 78, and more importantly am playing better golf and enjoying myself! If my notes are correct from my golf school, today is your Birthday. My round last week was quite interesting. On the front 9, I managed to par 6 of the holes, had 5 straight at one point, easily a record for me! I was able to chip downhill and putt up for a par on a par 3, 175 yard hole, which felt really good. Then I had a short par 4 with a creek at 210 yards. I elected to go with 6 iron off the tee, play a wedge right onto the green and 2 putt. All I want to say is that it felt great and I could feel more confidence in my game. Thanks as usual. You’ve been very helpful in me using the Instructor For Life Program since returning home from GMS. You were my GMS Instructor in Tampa at the end of April. I’ve been meaning to email you all summer long. I wanted you to know that your teaching has made a significant, positive impact on my golf game. I tried playing golf for 10 years and have paid many instructors to help me. But I would still hit mostly grounders and wasn’t even really playing golf. GMS was my last resort! Since returning I am now what I consider a competent player and am able to play with friends and colleagues and actually keep score. In essence, my goal of attending GMS was achieved. I’m now “competent”. I still have lots to work on, but now I have fun on the course and look forward to improving my game. I wanted to write and let you know that I thoroughly enjoyed the GMS course. This was the second time I have taken the course and I believe that I got more out of it this time. Two reasons for that. First, I had a better idea of what we were doing and I could focus more on the lessons/drills. Second, I was very impressed with our Instructor! He was very easy to work with and he was able to convey to me the end result that he wanted from the drills. He had a number of explanations which made it much easier to understand the concepts. I also started to understand the feeling that I should have when hitting a driver. I will continue to recommend GMS to my friends if they want a school to improve their game. I shot a 73 after the school, not bad for a 12 handicap! I’ve played 50 years, but at GMS was introduced to great new ideas about the swing and ball striking. Our Instructor, Bert, was very patient and extremely knowledgable. What I particularly liked was your program’s very modern approach to lessons and the game. Hey Jeff – when I attended GMS 15 months ago I was scoring 95-105 on average and had never broken 90. I’m now scoring 90-96 on average, with 6 rounds below 90, and my best round ever – 82! I’m emailing you because I’m looking to come back in April 2017 and I may have a friend that would attend as well. Both Debbie and myself are extremely appreciative of the high attention to detail and Riley’s resolve in making sure we understood the various concepts that were covered. He was extremely diligent in making sure that we were doing things correctly and often just stopped and made sure that concepts were not only understood, but that we were correctly implementing. Wow….. an amazing learning experience! I’ve played a lot of sports over the years (to a serious level), but this was some of the best coaching I’ve ever had! Hands down the best golf experience. Scott was absolutely brilliant. I will be spreading the word amongst my friends and time permitting will be back one day. I really enjoyed my three day golf school at Hammock Beach during July 11th – 13th. Mike is an excellent instructor. He has the knowledge of the golf swing & the ability to communicate it to his students. The nine hole sessions in the afternoon are a good way to put the instruction to use & also to learn how to plan your way around the course. I know I have things to work on, but I did see improvement after three days. The golf courses at Hammock Beach & the Conservatory are really nice & I enjoyed playing both of them. I look forward to attending another GMS next year! Jeff – I am playing with a tremendous amount of more consistency in my swing since GMS. Even with limited clubs, I’ve had two rounds of 18 holes coming in at 98 and 103. It feels like a full swing, but I say “feel” because due to my new way of striking the ball, it doesn’t feel like I’m powering/muscling through the swing like I used to, so it doesn’t remotely hurt me anymore. I’m really slowing down my swing – so my tick matches my tock. And the ball is going the same distance with my hybrid as my driver once did! Just finished playing Meadows a little while ago. The best 9 holes of ball striking I’ve ever had! Thanks for the great school, thanks for the great time! Marc – the impact of the GMS course in Phoenix has been great. I have improved 5 shots on my handicap and it’s still getting better. I am now having to recalibrate what I hit as my shots are longer. The improvement has been noticed by all. And it’s way more fun. I can more often avoid layups to two of our big water carries for instance. Just keeping out of the 100s was last year’s goal. I haven’t been in 100s for a fairly long time now. Sometimes I lose that crisp iron feel I had at Phoenix, but then I go back to the drills. Although when I do feel one, I really know it. The improvement in my short game is very noticeable. I know what I am to do! Anyway, I wanted to let you know how much I loved the course, your approach and the whole experience. It has made a fundamental difference. Gents – last week after a lot of hard work and effort I was fortunate enough to shoot my lowest round ever – an 85!!!! An incredible feeling – shooting an 85 would never of happened without GMS – thanks so much. Marc – I just thought I’d take this opportunity to mention how much Michelle and I enjoyed our three days at GMS. Our instructor, Lucas, was fantastic and the group of golfers we were in was perfect. There was a real connection with them from the start and a true bond between us by the end of the school. I love your system… frankly, before we came here, in some ways I envisioned having my grip, stance and swing broken down completely and wondered how that could be done and rebuilt in three days and accomplish anything else. Quite quickly I learned that we actually did have something to build on and that a few basic changes made a big difference and that developing a rhythm and having a routine and a plan for every shot was really important and resulted in some improvement almost right away. I think the best thing from my standpoint is looking back at my goals when I enrolled back in March and knowing how much I’m going to be able to work on them and continue to improve using your system over time. Suffice to say that my days of going to the range and hitting a bucket of balls with no real productive purpose are behind me. I am writing you about the GMS school I attended in Palm Coast August 17-19. My instructor, Jim, was outstanding. The step-through drill, tick-tock and green reading helped me tremendously. The weight shifting drill was excellent as well. I am shooting in the 40s for 9 holes. Your instructor was professional, cordial, polite and extremely attentive. He guided me through my shots. I almost made a hole in one my first time on the golf course. I’m recommending your program to all of my golf obsessed buddies! Please call as I would like to speak with you in detail about my experience. Top notch instruction. I hope all is well! Remember me! My handicap has improved 4 strokes and I have reached all my finals in my matchplay honour board competitions. ‘Finals day’ is this Sunday where I will play my first final match. Somehow I have reached the final in the most prestigious Ladies competition for the club. I owe that privilege to GMS). Its been 5 weeks since I had the opportunity to work with you at Centennial CC. I have played 6 times since the lesson and all have been better than my 7 handicap. Especially my last 2 rounds +1 and +2, the last one I was -3 with 6 holes to play, unfortunately I started to over pay attention to the score and tension came back and could not get thru an incredible round. But I still shot 74 (5 strokes better than my handicap). Anyway the attitude now is I just need to get used to be playing under par. Fun is back in my golf game and the chipping yips are gone. Its amazing how a simple routine like tick tock (got me to turn) and made the difference. I am writing to tell you how fantastic the program was for me. Everything felt so good and I can feel the road of fast progress ahead. It all made a ton of sense. I am hitting the ball crisper and farther and I can tell both trends are going to continue. More two putts rather than 3. I raved about GMS to family and two of them signed up for Phoenix. I have even more to say about how awesome it was. Margit and I had an exceptional adventure not only learning GMS’s approach to golf, but having Bert as our instructor. He was prepared, patient, personable and professional. We arrived at Heron Bay and immediately embraced your approach after years of lessons with mixed results! I now believe we can make the advancements in our game using the “Golf Made Simple” techniques. As we told Bert; today we will start with the drills and have made a tee time for Friday to conquer our home course. We look forward to sending you our positive results in the future. I just want to let you know what a treasure you have in Lucas in La Quinta. I finished the three day class on Sunday December 13. Things in my swing that have held me back for years disappeared within the first three hours and I spent the rest of the time building a foundation for years to come. I regret that I didn’t do this ten years ago! I plan to be a surprise, if not a scourge to my regular playing partners. I didn’t think learning could be so enjoyable. Thank you for the time you spent with Maureen and I last weekend. Just to let you know, my first game back at Stonebridge was in the qualifying tournament for our Member/Member competition. My partner and I won the day with a best ball net score of 57. My personal score was 75 which is my best score (by far). Thanks for helping to make it happen. I didn’t know what to expect before the Program (it was given to me as a birthday gift), but I absolutely loved it. It was the best golf instruction and golf learning I have ever had. I could see results by day 2 which amazed me. John was a terrific instructor. The facilities were amazing. I would definitely do either this Program again or GMS 1.5 next. Thanks again for a wonderful golf learning experience. I can’t say enough about the 3 days I spent at Innisbrook with Brandon. He’s the man! Now that I know what I need to do to have that same consistent swing, I can’t wait to get out and practice, practice, practice. Having these drills printed out, in my golf bag, and with me at all times will be so key to helping me along. And, oh yeah. Brandon’s voice in my head! I went to Tampa with a friend and we are planning on doing your program again! We loved GMS – it was absolutely excellent! Our instructor was great, the group we were with was great, the courses were super nice and so was the hotel. I played twice this past weekend – and saw significant results. More importantly than seeing results I feel like when things go awry I have a way back to finding what was working – which as you know is the worst feeling when you’re lost out there after a few bad shots. It just makes the game more fun and relaxing. I really feel like I’m striking the ball well, real golf shots. Kimberly was away this past weekend and so didn’t play, but she probably put 20-40 yards on her ball after GMS – at least. She’s never wanted to play past 9 holes before – and I gave her an out, where she could nix day 3 if she was tired of too much golf. Just the opposite though – she loved it! The school is excellent – I can really see why it’s so successful. I enjoyed the 3 days at GMS and I can definitely hit the ball better! I also wanted to let you know that the instructor, Scott, was excellent. He really took the appropriate amount of time with each of us and focused on our level and needs. On a scale of 1 – 10, ten being the highest score, I would give him a 10. He was always professional and has a great attitude. I will likely be back for a refresher. I am writing to share some good news with you. I qualified for State Sectionals this upcoming Monday! My dad and I played at the course where they will be played, Running Deer, and shot a 78. Not bad for the first time playing there. The greens are much faster than I am used to and they are extremely undulating. I also played in the Mercer County Tournament which is where the best schools from the county play. I shot 82, which was not my best, but I had the lowest score for my team. My Dad is also playing well. He played six holes with me at Running Deer, until he got back spasms, but was shooting well. He seems to have gained yardage with his woods and driver and he is very happy. We can’t thank you enough for all that you did as we are both playing better than ever! Marc, I don’t have enough words to express how impressed I am with every bit of the GMS experience. Your customer service is impeccable. These last few days have been more fun than I could have imagined! Scott was truly incredible both with his teaching and his graciousness. I am coming away with not only a much better golf game, but also with skill enough to improve on my own. Although I know you have many many wonderful instructors, I may have to travel to Spain for my next class. My sister and I are groupies of Scott. I can’t wait for my husband to be able to experience this. Once again thank you for your patience and professionalism over the past 3 days. You are truly an excellent communicator, Instructor and very positive and encouraging person. I attached a link of my scorecard from my round of golf today. First time I ever broke 90 on that course. It was a totally different round of golf for me today. I had a plan for each hole and a plan for each swing. Of course not all went as planned, but I had an understanding of what went wrong and what was needed to correct it. There was a really nice feeling of calmness about this round. Hope your next class of students are pretty cool for you and they are very lucky that you are their Instructor. Thank you for the great work. Today I shot a 90—lowest round in some time! 2 birdies and 5 pars. And was closest to the hole on two par 3’s. In total I had only about 7 bad shots. I putted lights out. The best part of all of this is that on every less than good shot I knew exactly what I did wrong. I just want you to know that I have improved my game substantially as a result of your teaching and the GMS program. I continue to practice the drills laid out and for once can count myself in the 20% of golfers who are happy with their game! Last night at our Men’s golf (due to time, we only do 9 holes) I shot a 39 with a double on my first hole! The first time ever under 40 on a nine! Our groupings are handicapped and at the start of the season in April I was in the worst flight group (7) and moved up to group 5 last week. Besides moving back on the tee box, I now compete against better players for the weekly low scores. More competitive, but more fun too! Once again, thanks Marc and to the GMS system of improving my golf game. I just want to say what a wonderful coach Brandon is. He was very thorough and patient and very insightful about our individual needs. It is obvious how much passion he has for this work. I can’t wait to get to the range to practice everything I have learned. I have all I need right now to take it to the next level. It is a great program and I am already recommending it to others! Thank You!!!!!!! Thank You!!!!!! Thank You!!!!!!! I really enjoyed the GMS program. I learned an awful lot about the game of golf, my game and myself!!!! Brandon is an excellent instructor and wise beyond his years!!!!!! I have just completed the GMS course with Scott Thomson at Sotogrande. I am writing to express my utter gratitude for the course and the wonderful tuition I received. As an educator myself, I recognise good curriculum, and equally importantly, good teachers and instructors. I employ them, interview them and hire them as Head of Surgery at my University. Scott is one of those people that I would be honoured to have on my team working at the University. His method of relating the curriculum, of explaining the concepts at a level that made it understandable was as good as I have ever seen in trained educators. He had the wonderful ability to credibly build my confidence and at the same time help me understand how and why I hit good shots and importantly, what went wrong when I didn’t. I cannot thank you enough for having someone like him as my instructor this weekend gone. Once again, thanks and congratulations. Marc – what a great program. As a former physical education teacher – I truly can appreciate the thought that went into the overall program, the skills stressed, and the education of the instructors. We had Brandon & he was excellent! I have found some drills that will really help our game & I can already see improvements in mine as well as my son’s game! You have a great program here – I applaud you in your philosophy & approach to the game! I know we will have a more constructive & purposeful direction in our pre game practice sessions! Thank you for the great clinic that you have developed & for the terrific instructors! Marc – if I could only begin to describe the quality of Scott’s instructions. I took his input on to the course today and played the best round of golf I have ever played! And yes I made some crappy shots, but his words were in my head: there will be bad shots, even the best make them. I adjusted because at least I knew what I did wrong and could make the correction. And to think his instruction was 180 degrees opposite to what any instructor has said to me before. I now get out of every bunker every time, and I don’t think flag, I think green. “Tick tock” I will be back. All the best. And feel free to post this on your website. You deserve to. Thank you Marc – it was an amazing three days! When I first heard that we could expect to shave 4-6 strokes only after 3 days I was skeptical. Now I am a believer! Best investment I have made in awhile. Our Instructor was patient and very knowledgable. I look forward to coming back. I’ve attached the two pics from our final day. Can’t thank you enough for all your help and dedication. Never thought I could be this confident with my golf game. Especially my driver!! Looking forward to working on my game and being more consistent. Marc – thanks for GMS. It was a fabulous three days! Scott was great. The course was a great success. I would be glad anytime to endorse it. I had high expectations (and specific things I wanted to avoid) and my expectations were met or exceeded. The improvement in my game was measurable. It was a most enjoyable three days. Thanks for the great golf lessons! I took it out to the club today and struck the ball really well. The driving range was facing into a 20 MPH wind, but I was striking the ball crisply, contacting the ball first and then the mat, launching it high, and even hitting a nice draw on demand. It was really fun. Then went out and played 3 holes, and made great contact on the course as well. Lots of work still required, but I’m thinking my handicap will improve to below 15 pretty quickly. And if I keep working hard on all you taught us, including the short game, I’m hoping 12 or even 10 may be in range this year. I’ll keep you posted, and again, thank you! I wanted to send you a note to tell you how much I enjoyed the golf school. The program, the drills, the on-course play with instruction and most importantly the love you have for this game is what made the three days for me. I now feel like I have a plan for improvement and will be able to see measurable gains. I was at the range today and was able to refer to the Players Page and work through many of the drills and hit targets, while those around me were just hitting ball after ball. With your help I can actually hit a draw regularly now, rather than my normal slice. I am really playing better, and now I enjoy practicing because I know improvement will follow. So, thank you so much for making the school what I had hoped it would be. Words alone cannot express the level of confidence I achieved over my golf school experience this past weekend. I have been to many golf schools in the past, and while all of them were good, your school is in a class by itself! Not only is your method of teaching excellent, but your instructor Brandon loves what he is doing and it shows. I have made progress in the previous schools, but not significant. With GMS, my game improved dramatically. Even the people who were in my class noticed the unbelievable difference from day 1 to day 3. Brandon, I just wanted to write to you and thank you for the tremendous improvement you have made in my golf game. Not only am I hitting the ball better, but you have given me confidence that I never had. I am looking forward to my next chance to play, as soon as the weather cooperates. I am standing in my entrance foyer doing the modified belly swing. I have plenty of room and high ceilings. Not only is the GMS teaching method excellent, but your patience is greatly appreciated. You will always be with me when I am out on the course. I will never listen to another monkey. Only one month after completing my Golf Made Simple training, I shot the best round I’ve ever had by six strokes (83). Thanks Marc, Hayden and everyone there. People are always trying to give me “tips” and I just say, “let me play the way they taught me at Golf Made Simple”. a GREAT trainer, gives 100% to the class and was very patient and encouraging! Due to various jobs and a battle with cancer I got away from golf and decided that I would go back to playing as frequently as I could. At one point I was a strong 6 handicap and knew which end of the club to hold onto. After reviewing others, I decided GMS was what I was looking for. I just attended the school in Phoenix and to say that I enjoyed it would be a slight understatement. The instructor, his manner and professional demeanor was top shelf. After leaving GMS, I left for home the next day and when I saw a hotel across from a golf course, I decided to stop for the day and play nine holes. I approached the course with a PLAN and had a very satisfying round. 6 pars, 3 bogies for a 38 on a strange course – eliminate one ball behind a tree and two strokes where I left my brain in my golf bag and I would have been even Par. IF ANYONE WANTS TO CALL ME ABOUT YOUR SCHOOL, GIVE THEM MY NUMBER!!! I wanted to send you a huge thank you to yourself and Brandon. My time at your school at Innisbrook Resort was more than I could have hoped for. I learned and understood so much more about this game than I ever thought possible in a 3 day program. The drills, the on-course guidance, the course management, green reading, and most importantly, the confidence instilled by Brandon to make the shots, was unbelievable! I can’t wait to go play more!!!! Once again, thank you so much. I wanted to let you know that my 3-days at GMS could not have been any better. Exceeded my expectations at every level imaginable. Chris is simply an awesome instructor, can’t begin to compliment the way he handles himself and teaches the game. I’ve been playing for 25+ years, after these 3-days I finally understand the swing, how to get into the right positions and what it means to strike the golf ball properly. The proof is the way I played today, never have I hit the ball so solidly and flat out played so well. All because of your program. I will be back and will also go out of my way to tell anyone who wants to hear what an awesome program GMS is! Beckie, Beau and I really enjoyed being at the school and felt like you did an excellent job of explaining the swing with the drills you showed us. For the first time I can now feel what a correct swing feels like and know what I did wrong when I don’t hit the ball well. I believe this ability will increase the more I do my drills. I bought Beau his new fitted Pings yesterday so he should be ready to play a lot of golf and groove a good swing with the excellent instructions you gave us. Thanks again and we will keep you posted on our progress. I know that in 3 days of great instruction, demonstration and explanation of the fundamentals of the golf swing – I have learned more than I have in 40 plus years of playing the game that has included numerous 1/2 & 1 hour lessons from “pros” as well as continuous input via “Monkey Talk”. Our Instructor’s knowledge, personality and willingness to assist were exemplary. Anyone getting him as an instructor will be blessed. I am excited to begin tomorrow to work on my game now that I am acutely aware of my strengths and weaknesses, how to practice to improve on the strengths and eliminate as much as possible the weaknesses I have. And I will continue to have a PLAN to practice and a PLAN on each hole on any course I play. It now feels as if the “FUN” has returned to my game. “TICK TOCK”! Alan was awesome, low key, and very, very patient and fun and informative. The other three participants were great guys, real gentleman, and the entire experience was fantastic. The location and facilities were excellent and all four students agreed it was a super value. Thank you and the whole GMS team for making it a fantastic experience. John and I both would like to thank you for a great course. I played on Thursday in a tournament the morning after we got back and I won closest to the pin!!!!!! AND…..today John and I played and my score was 97!!!!! First time for me with a score under 100. It was a great round of golf, I was really hitting my driver well and my short game was the best I ever played. It’s exactly what I wanted to get out of the course, to feel confident enough to play a round of golf with anyone….can’t wait to see what another couple of weeks will bring! Anne B here. Diane T and I worked with GMS in LA Quinta on January 19 – 21. First of all, thank you! I had the most fabulous three days. Since then, we did go from our lessons to the Mission Hills Invitational and although we weren’t in the money, I personally felt my game was much more consistent. Since being back home I’ve been out to practice a few times and played a few holes in pretty awful weather. Still felt I was more consistent. Yesterday, I went out and shot my best round ever, 82. Which included 5 pars, 1 birdie and 1 eagle (a hole in one…). I knew then, I am definitely more consistent! It just felt so great, feeling confident about my swing, judging where I wanted to be, hearing Jeff (“Don’t be a chicken…). It all felt great and I attribute entirely to Jeff’s teaching and your methods. Again I wanted to thank you for such a great time at GMS. Paul and I talked on the way home how committed we are to stick to the GMS methods and drills. I had two main goals when I arrived and that was to improve my chipping/pitching and to figure out why I was pulling/duck hooking my Driver. I feel both were accomplished. Even when I was younger and a single digit handicap – I never hit the Driver as long, high and straight as I did the final day on the 9 holes of On-Course Instruction. I’m now excited to pull my driver out. I have been thinking about your question regarding what in particular helped me to improve the most I can’t point to one drill or one item that helped the most. I like how the drills build on one another. The on-course instruction came in handy in helping me plan before hitting the course. Nevertheless, the one overriding factor that helped is that GMS concentrates on feel. For the first time in my life I can feel good contact and I can feel a good swing from bad. It starts with the weight on front foot drill and learning how impact feels. Learning feel continues throughout the drills. The eyes closed drill was particularly helpful to me. When I get out of rhythm on the course, I will take practice swings with my eyes closed until it feels right. On my trip to Scotland, I changed my pre-shot routine to incorporate practice swings with my eyes closed. The change will be a permanent part of my routine. It is wonderful to forget about mechanics and to concentrate on scoring. Kevin and I had an incredible experience working with both John and Brandon (he was training to be a GMS Instructor). We both learned a tremendous amount. The course material is put together so well and makes sense. You have a great asset with Brandon, he will be a wonderful addition to your team. He is warm, kind and knowledgeable – very special! John was as terrific! We both intend to return for another workshop next year if not before. Thanks for all of your help as well as being part of the creation of such an amazing program. Just wanted to say that I thought this last GMS newsletter was one of the best that you have written (at least that I have read – in the past 4 years). When I started GMS I was a 12 handicap. I attended Level 1 and improved to a 6. I attended Palm Coast (great location) with Hayden for GMS Level 1.5 a year ago. My index is now 2.6 and I consistently use the training that I received at both my GMS instructional courses, and I credit in large part my continued improvement, to that instruction. Kevin an I had an incredible experience working with both John and Brandon (he was training to be a GMS Instructor). Scott – I played at the Berkshire today and have never hit my irons better! Hit 11 greens in regulation. Hit my hybrid a lot, the ball comes off the face like a bullet!! Feel very confident with every club in my bag. My game has certainly improved a lot since my time in Spain, thanks to you. Short game in particular and I’ve become deadly with my wedges. I completed Golf Made Simple this past summer. And I can’t say enough good things about your program. I had a fabulous teacher that made the concepts both personalized to me and easy to understand. So having completed GMS, I wanted to share my successes with you. My index has improved from 15.4 to 12.9 and I feel I’m on the road to a single digit index. More importantly to me, I am now consistently breaking 90! My best scores have improved by 3 to 4 strokes, but more importantly my worst scores have improved by 10 to 12 strokes. So on a tough day now, I am around 90 rather then struggling to break 100. I attribute this to having a PLAN. GMS taught me the difference between a Monkey and a Player. This concept has completely changed my game. Having a plan has not only improved my scores and index, but also enabled me to win my clubs’ Match Play Championship this year. Never in my wildest dreams did I think my name would be “up on the wall” with all the other champions. I owe much of that title to GMS. Just thought I would let you know that I thoroughly enjoyed the course and Scott was just a pleasure to work with. I just wish I had done this course ten years ago! GMS has reignited my passion for the game and given me such a good understanding of my swing faults and what to do to cure them. I can’t wait for next season to start and will be working hard on the drills over the winter. Marc – it was a terrific 3 days in Palm Coast! After Thursday afternoon, I was thrilled to see John back and ready to go Friday morning!!! After our first day together, my “Jekyll and Hyde” golf game would have been more than enough to scare away a lesser instructor. I really appreciate John’s patience, focus and guidance in directing me through the step-by-step process that makes GMS one of the best instructional golf schools in America. I was on the range yesterday with a purpose and focus that was non-existent in the past. I found myself taking a step back and watching other golfers “flail away” at their bucket of balls and understanding that w/o the GMS instruction, I would still be there myself. I not only look forward to, but expect to see strong improvement in my game over the next several weeks. I know that I now have the tools to play the game in a more rewarding fashion that ever before. Thank you again and look forward to staying in touch! Just as a follow up, I attended your golf school in August, in Lake Tahoe. At the time, I was a 10 handicap, but struggling to shoot in the mid-80s, and was contemplating giving up the game. My driver was totally errant, sometimes going further right than forward, and sometimes a duck hook left. I had no confidence standing on the tee. Your school has done wonders for my game, and I think I am now “fixed” so to speak. My last three rounds have been 76, 77, 77. I look forward to the 2015 golf year, which I haven’t been able to say for the last 2-3 years. Thanks again to you and your staff for making golf “fun” again for me …..
Marc – just wanted to tell you how life changing GMS golf school was for me. It was the best decision that I have ever made – EVER! Alex was the most effective instructor that I have ever worked with. The GMS drills addressed all of the issues that I was having and gave me the tools to go to the range and actually know that I am working on getting a better more efficient/powerful golf swing. The 3 days were interesting and enjoyable. Everyday I would actually see the changes and the better results. I went outside my comfort zone and saw immediate improvements!!!! I will never trust anyone except GMS. Just a quick note to report a personal best golf score at my regular course here in Florida. I shot a 100 with 31 putts on my FIRST outing with the Ladies’ League. Before the lessons with GMS my lowest was around 110 with an average of 117. Thats fantastic don’t you think? I attended GMS in Hammock Beach on 18 Dec and I just wanted to say that I was extremely pleased with the results. After I left the school, I went to Hawaii and after 17 rounds my index improved by 5 strokes from a 19 to a 14. So clearly the course helped and I am very much pleased. Hello John, took me a while to get back to you. I am happy to say that my handicap has improved by 5 strokes! So that is really good. Last Tuesday I had a hole in one. And even though everybody knows that there is a lot of luck involved, I executed a great shot. Right now, I am working hard on my mental state, i.e. staying confident and Tick Tock. Just wanted to let you know that I had the most amazing experience these last three days at your GMS camp at Whitehawk Ranch! Denise and I loved our instructor Jeff, and we couldn’t have been paired up with two finer people than John and Colin, what a great father and son. We had so much fun with them, it made the experience that much better. Jeff was an excellent instructor, he was very thorough in his explanations; I now understand golf from the very basics and I like your theory and your program. Jeff was very professional, very patient, and an excellent instructor. Thank you again for offering GMS and I look forward to being a GMS Alumni and participating again in the future in another GMS camp! I attended your 3 day golf school this past April in La Quinta, California. At the start of 2014, my love for golf was at its end. Prior to your golf school, I had spent the past 2 years absolutely struggling with my short game from 100 yards into the green. I went from a 4 handicap to shooting rounds into the 100’s. It was a frustrating experience to see my short game go. And for an individual who looks for golf to get away from life and work, golf became stressful. I needed help as golf was not fun anymore. I have to thank you for your golf school, as well as for your hiring of great golf instructors like Jeff Seigler. Jeff was absolutely awesome and his style of teaching was absolutely what I needed. Your approach to simplifying golf and clearing the clutter was perfect. I left your golf school inspired to play again and I have to give tons of credit to Jeff. Since April my golf game and confidence are coming back. I remain committed to the GMS teachings and continue to practice the drills I learned, and I warm up before rounds as instructed. I am getting back to consistently shooting in the low 80’s with a round here and there in the 70’s. In fact, just after the April golf school in La Quinta, in late May, I was back out in Palm Springs for a week long golf vacation and I played 9 rounds of golf in 7 days. 2 of my rounds where in the 70’s and 7 of my rounds were in the low 80’s. This would not have happened without your golf school. I sincerely thank you and Jeff for helping me find my love of golf again! I wanted to take a moment to share my experience with the GMS program as it clearly stands out among the several golf schools that I have attended in my nine years of playing. I joined a three day session at Hammock Beach in March of this year and the learning process, which began five minutes into the program, continues with me now seven months later. I continue to refer to the drills Hayden introduced and then seamlessly connected to the full swing. Their simplicity defies their effectiveness in building a solid, repeatable motion. Armed with this knowledge, my practice sessions are now purposed, efficient and productive. I have confidence in my skills and ability to improve my game because I have a Plan. Thank you! Just wanted to let you know my golf game is moving in the right direction. I’ve recently had a couple of straight-up (no mulligans, etc.) 81’s from the big boy tees at my club. I know a score with a 7 in front of it will come eventually, but I’m not stressing over it. Also, my breadth of competence from round to round is getting more narrow. There’s no doubt that all the concepts I gradually absorbed from my session with you at GMS are a big reason for my progress. My tempo, swing plane, balance and finish are all improved. My chipping is more consistent, fewer 3 putts also. You’re a true professional and a great guy, Hayden. I hope things continue to go well for you. Hi! I just returned from Grand Geneva; it was nothing short of fantastic! Alex is a great instructor and I was very impressed. There is no doubt about it…I’m a better golfer after the GMS experience! I can’t wait to get web access to the class notes and hope you can help expedite the process. I’m playing a round of golf today and need a quick review. Each time I have played since leaving Palm Coast, I see my ball striking improve. Today, I hit 14 of 14 fairways as long or longer than ever! I hit 14 of 18 greens. Since coming home I have reduced my average putts by 2 and my handicap has improved to a 12.4. Based on how I am playing I suspect that it will continue to improve. I have shot in the 70’s twice since coming back and usually that is a once every 6 months. The drills are really helping. The biggest help has been the parallel hands drill. Going to Golf Made Simple was a big investment, but the teaching and drills really work and you have made my golf simpler. I want to tell you and Marc that my golf training with GMS was great. I learned more in the first morning than I learned the previous 40 years! While I have no plans for the tour anytime soon. I feel like I will have a lot more fun playing now. I feel like I can make improvements in my game that I never dreamed of. Thanks again for the fantastic training! We finished our GMS course at Almenara Resort with Scott yesterday and are heading back to Mallorca. We just wanted to say that we were totally impressed by the whole experience with the Golf Made Simple programme. We feel very fortunate to have participated in GMS and stumbled across a concept which has changed our view towards improvement in golf. If the potential that we’ve seen turns out to be as great as we suspect, then it would not be an exaggeration to say that GMS will have changed our games forever! Scott was a perfect host and hospitable professional who was able to convey the concepts and drills in a thoroughly clear and understandable manner. We enjoyed our time with him and learned a lot at the same time. We will be recommending your course to friends and family. In our opinion the GMS concept is one of the best kept secrets in the world of golf. Best wishes and thanks again for the experience. Marc – I was a student in Virginia in July. Please get word to Matt, my instructor, that he has made a tremendous difference, things have come together with his help. I am hitting the ball so much better than before. My golf is enjoyable again and I see only reasons for optimism. My wife and I attended GMS in Palm Coast earlier this month. Our instructor, Hayden Lewis was simply outstanding. My wife, although a beginner continued her improvement and shot 20 strokes better than her previous best score to reach her goal of breaking 120. On the last hole she hit a 170 yard drive right down the middle! I have a 13 handicap and am hitting the ball my best ever. Since GMS, I have scored my personal best including two 9 hole scores of 40. My wife and I plan to attend 1.5 next year with GMS. It was a great experience with a tremendous teacher and a nice getaway for a couple that enjoys the game. Golf is so much more fun for my wife now and consequently I get to play a lot more myself! Just wanted to send a quick note to let you know how much more consistent my game has become since my 3 days with you in early May. I played yesterday and shot an 84 (my best score ever), but more importantly, I only had 1 double bogey for the entire round. I also had 2 birdies! I have been doing all the drills and warm ups and saying tick tock. It really does work!! Alex – Dennis and I had a great 3 days with GMS. After getting back to the San Francisco Bay area I had a chance to try what I had learned at GMS into my golf game. My very first round I shot an 83, which is 5 strokes better than my average. The next day I shot 79. I struggled a little on the front nine, then I decided to focus on my PLAN for playing the back nine and ended up 1 under par: 1 Bogey and 2 Birdies. The rest were pars, but importantly I had a putt for birdie on every one of these holes except one, where I chipped to one foot of the hole from the short side of the green. Needless to say I was delighted with my back nine. I plan on doing a lot more practicing now that I have learned how to practice and what to focus on when I practice my weaknesses. As I continue to work on my game, I will reach out to my Instructor for Life for guidance as needed. I have turned a corner toward a better game and have some success to report. Last Thursday I shot an 85. Saturday I finished with an 86. Today I shot an 83! My chipping is improving and my drives are lower and longer. I can now hit a 5 wood or 7 wood with good length and more accuracy. I am doing the drills we did in class and am developing a consistent swing tempo that gets all my body parts synchronized. Thank you for your excellent instruction. I’m emailing to tell you that through you and GMS, I made my goal of breaking 100. I am consistently hitting under 100 (97, 95, 91) and today I broke 90 for the first time! An 89, my best round ever. Your lessons and “tick tock” has me striking the ball so much better. I am not only surprising my friends, but I am surprising myself. The lessons and knowing what I am doing wrong on the course when I hit bad shots has me striking the ball 100% better. Golf Made Simple is a great system and I would recommend it to anybody who struggles with their golf game. Thank you for helping me to make this game much more enjoyable. Hi Chris – Rick here from beautiful Alberta, Canada. So far, I have played about 20 rounds. My last 3 rounds (75, 76, 76) let me know I’m capable of playing very well. My husband and I attended GMS in Lansdowne Resort at the end of June. We both have seen tremendous improvement in our games since coming back home. When we arrived at golf school, our instructor, Matt, asked each of us what we were looking to improve at golf school. My answer was simply to improve my short game. In one months’ time, my entire game has improved. I am consistently getting to the green in fewer strokes, chipping to get the ball closer to the hole and putting with confidence. I don’t panic if my ball ends up in the sand. I now think about getting the ball to the pin, because I have an easy plan to get out of the sand. I enjoy having a good practice session with the GMS drills and find it’s easy to find the time to practice now that I have a plan versus just going to the club to hit a bunch of balls. We recommend GMS to all our golfing friends. My friends, can’t believe the difference in my game. As a teacher, I must say our instructor, Matt, was outstanding in explaining the drills, modeling the drills, observing the class practice the drills and error correcting as needed. Matt made the class very interesting and fun. Lastly, when I hear people say that they just had a lesson and now their game is really off, I tell them not with GMS. With GMS the positive results are immediate. I just finished 9 holes. Every one of my fairway shots were hit very well. I have never played nor scored so well. Shot a 44. I even had a great fairway bunker shot. I found my target and squared up on every shot. Rehearsal swing, locked it in and stepped up; tick tick, then hit. My goal this year was to break 100. My usual golf score last year was 105 to 110. I am happy to say that last week I golfed a 93 — my all time best score and my high scores are now lower than 100. I started golf at age 45 and golf improvement had been very slow. Golf Made Simple gave me the boost I needed. I now look forward to going out for a round with more confidence and I enjoy my time on the course much more. Thank you for your patient and excellent instruction. My wife and I recently went to your GMS class in Carmel, New York. Your instructor, Chris Dunn, was amazing. He had a great communication style that worked for both my wife and I. After three days, we were both hitting the ball straighter and farther than ever before. I played a tournament at Bethpage on Monday, and saw a dramatic improvement in my game and confidence. Moreover, when I hit a bad shot – I knew the reason for the mistake and could correct it before the next swing. Great news, last night I broke 80! A well balanced round of golf ended with a 79 on the scorecard. Every aspect of my game is seeing improvement since the time I spent with you in January. You asked me what my takeaway from the school was, and while I did not realize it then, by the time our plane landed back in Calgary it was obvious… a plan. A practice plan and a game plan. The practice drills are printed from the Player Page and in my golf bag. They have contributed to incremental improvements in my golf swing and game every day. Everyone I play with has commented on the improvement they see. One of my favourite comments has been ‘stroke saver’ and that referred to my wedge game from 50 yards and in. I want say thank you again and let you know that I am working the plan and should make it back to see GMS in Feb of 2015. Hayden, I wanted to take a few moments to let you and everyone at GMS know how much I enjoyed the three-day session last week in DC. In brief, I can now enjoy the game again! 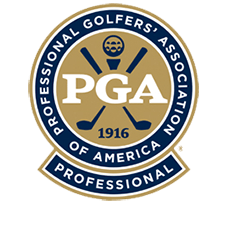 When I decided that I was going to do an “instructional golf getaway”, I researched numerous programs and based on what were clearly real testimonials along with Marc’s newsletter content, felt GMS was the best value. I don’t know how I could be any happier with the outcome. From my first contact with your office, I could tell that GMS was a customer-focused, quality organization. Your communications was then followed up by Alexandria just to be sure everything was in order before I made the trip. Beginning on the first day – learning what correct impact is supposed to feel like, all the way through the third day with getting out of the bunker with one shot – the program was exactly as described on your web site. If you would have told me that within one hour of starting the instruction that I would have enough feel in my golf swing to hit the ball with my eyes closed, I would not have believed you. Being able to do that really elevated my confidence! And that was just the start. In my opinion, the arrangement of the instruction and being able to go from the range to the course with the Instructor and apply what you have been taught is far more valuable than the typical approach offered by others. I could go on and on about all of the takeaways, the drills, the instructor for life program, etc., however I want to share what happened the day I returned home. It was now my turn to go “solo” and put what I learned to the test. I went to the local course, performed the 29-ball warm-up, and played 18 holes of golf and applied what I just learned from GMS. My previous scores on this course were at best, in the low 90’s. This day, I went 41-40 for a total of 81. Now that’s improvement! From a former monkey known as “speedy”, keep up the great work and Tick-Tock! I was at your school in Boca Raton in April. I’ve always been stuck in the 95-105 scoring range. My goal was to break 90 which I had never done. It finally all came together last week in a big way. Last Tuesday, I was playing 9 holes in the evening and shot a 45, but more importantly and amazingly I got a Hole in One! 180 yards with a 5 iron, landed on the fringe and rolled about 10 yards. Then this past Sunday I played a great round and shot an 84! I’ve just completed my 6th round of the last 7 in the 80’s! In fact the last 2 rounds were 84 and 86. My handicap has improved 5 strokes. From a 22 in May to a 17 today. Please tell Marc that all of his work with me is miraculously coming together. The Monkey is finally off my back! John – I am back in NY and wanted to send an email. Thanks for a great 3 days of lessons. I can honestly say I feel the improvement already and have a solid base for continuing to practice and get better. I will certainly be reaching out from time to time. I can say that it was well worth the money and time and would recommend the school to anyone. You clearly have the patience and knowledge to make a huge improvement to anyone’s game. First of all, thank you for working with me to help me get into the program in Denver. I was grouped with Rodney and Hunter, and it was a great fit for me. I was frustrated with my game before GMS, as I went from a 2.9 index in 2013 to an 8.1 in August of 2014. Lots of “monkey” fixes to my swing. I was a head case when it came to the driver. GMS was just what I needed! What I loved about the program was not just swing fixes. It involved a simplified approach to every club in the bag and perhaps more importantly for me, how to practice, warm up and get around the course. So on to my improvement. It’s early yet, and I know I still have a lot of appropriate practice to look forward to, but my game has definitely taken a turn for the better. Prior to GMS, 18 of 20 rounds were up in the 80’s. My last three rounds are in the 70’s! So thank you GMS. I appreciate the follow up phone calls and the congratulations. I feel that every drill was important and well thought out. I would love to take the course again. I attended GMS in Washington DC on June 13-15. I had previously attended 10 years ago in 2004 and it took my game to a new level. This year I was struggling and my handicap was going in the wrong direction. I entered the class with a 6.6 index and was struggling in all areas. Matt tweaked a few little things and by the second day I was striking the ball as well as I ever had. It took a few rounds to get use to my new found yardage with each club! The best part of the course for me was the course management discussions and strategies; I still tend to be too aggressive, but have been working that hard. Yesterday, when I received my updated index it improved to a 4.2! I have improved in all areas, Fairways hit, GIRs and scrambling. My confidence standing over the ball is at an all-time high! I broke par with a 1 under 71 about 6 weeks after attending and shot 75-77 for my lowest club championship score. I have recommended your school to numerous people and look forward to my continued improvement. The test of a product is not how it looks straight out of the box, but how the product performs after it has been used and abused. The proof of a program like Golf Made Simple is how the golfer plays months or years after attending the course. I attended the three-day program a year ago. Bottom line, this year I have played the best golf of my life. My game has never been better. My instructor was Hayden Lewis. I can’t say enough good things about Hayden. He truly seemed to care about my progress. Thanks for all the help, Hayden. The concept of Golf Made Simple makes perfect sense. I committed to stick with the program. I worked on the drills in the order presented and a miracle happened, the drills became easier and easier. My contact with the ball became better and better. The benefit of Golf Made Simple is not just on the range, however, but on the course. As I got better at each drill, I got better on the course. A shot pushed to the right doesn’t end up in the trees, but on the right edge of the fairway. I started to reach long par 4s in two. My drives were longer and consistently found the fairway. I started hitting greens in regulation and making more pars and birdies than bogeys. My handicap improved 9 strokes from last summer. Who knew golf could be so much fun? I no longer have to concentrate on mechanics, I can focus on strategy and shot making during a round. I now have the game to play the course, not just struggle around it. The impetus for going to Golf Made Simple was a planned golf trip to Scotland with three friends. Thanks to GMS, I now have a game that I can travel with. I averaged around 10 shots per round better than on our last trip three years ago. My friend from out of town, who had not played with me for over a year, was dumbfounded by my improvement. The Golf Made Simple program works, and works much better than countless lessons from local pros. Thanks Hayden and Golf Made Simple. I have been thinking about your question regarding what in particular helped me to improve the most. Although I can’t point to specifically one drill or one item – I like how the drills build on one another. And the on-course instruction helped me plan before hitting the course. It starts with the weight on front foot drill and learning how impact feels. Learning feel continues throughout the drills. The eyes closed drill was particularly helpful to me. When I get out of rhythm on the course, I will take practice swings with my eyes closed until it feels correct. On my trip to Scotland, I changed my pre-shot routine to incorporate rehearsal swings with my eyes closed. The change will be a permanent part of my routine. It is wonderful to forget about mechanics and to concentrate on scoring. Marc – when I won the men’s club championship this year, I had 1 bad hole out of 36…..hole #12 at County. I then proceeded to par out to win by 2 strokes. In addition, I recently played with the head pro at Tuckaway Country Club in Milwaukee. He knew all about GMS… and loves what you teach.